The government must act poste haste and implement all the reforms that are required in order to shield an economy that is hanging by a thread. 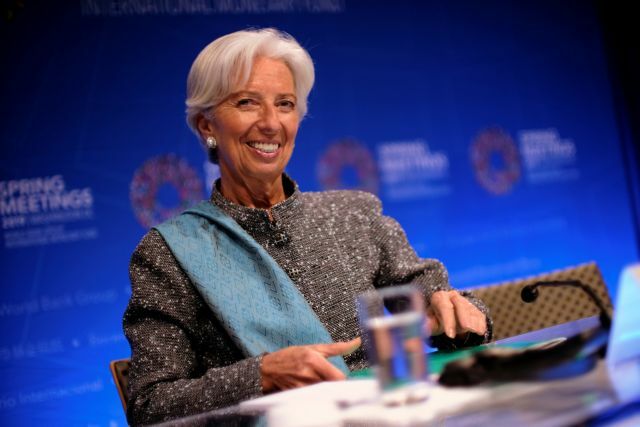 “The time to repair the roof is when the sun is shining,” said IMF chief Christine Lagarde. For Greece, that means that the government must act poste haste and implement all the reforms that are required in order to shield an economy that is hanging by a thread. Indeed, the IMF chief is prettifying the situation because in fact it is still raining. The government has not heeded her advice and is acting like the drenched person who does not fear the rain, as the Greek saying goes. Instead of fixing the roof, the government is preoccupied with handing out benefits, providing arrangements for debt repayment, offering a write-down on home loans, and making promises. The reason is obvious. The government faces tough local, European Parliament and parliamentary elections. Instead of confronting them realistically it prefers to operate in conditions of simulated reality in an effort to avert a crushing defeat. Besides, it knows that the next government will have to fix the roof. Greece has paid very dearly for such short-sighted perspectives. The government must realise that by kicking the can down the road it will make citizens pay the piper.